Rachel Gow, 29, a hospital administrator from Lancashire, has been ruled to have killed herself, after she was found dead by poisoning last November. 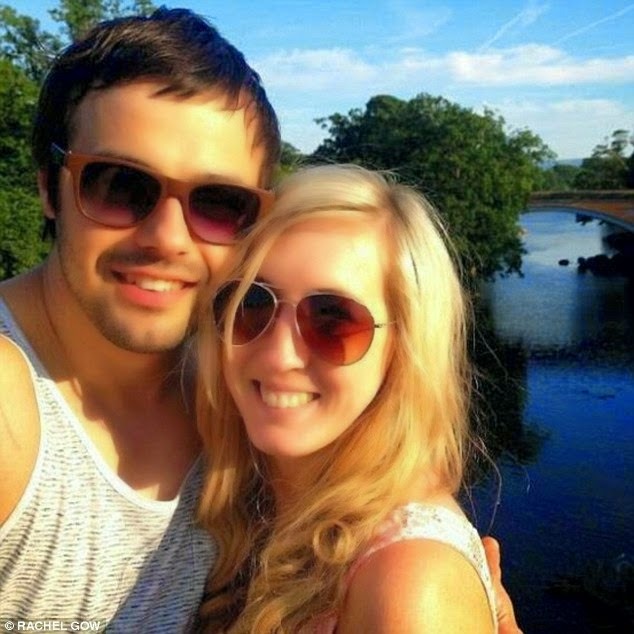 It was found at the inquest that she was worried her boyfriend Anton Tsvarev, 30 would leave her, and suffered a number of insecurities about the relationship. Rachel was said to have struggled to overcome the death of her mother, and desperately wanted a family of her own. Her greatest wish was to 'settle down and get married' and she recently became very troubled that she was approaching 30 unmarried and childless. The day she died, Miss Gow sent him a text message wishing him 'all the best for the future' before poisoning herself. Mr Tsvarev who had been visiting a friend later found Miss Gow but she died despite attempts by him to revive her. This is the second suicide in as many days with the person talking their lives based on relationship insecurities. While nothing I say can bring them back, I wish we wouldn't put such pressures on ourselves. May her soul find rest.